Android operating systems have become much better in the last couple of years, but if you are attracted by new features like Face ID provides by iPhone X, you simply have to get an iPhone. 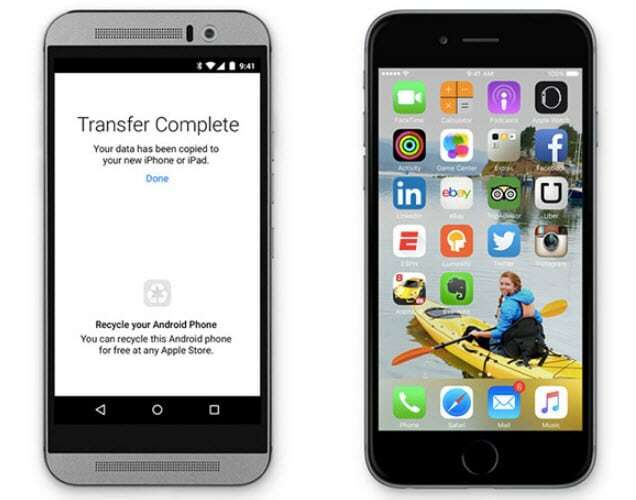 If you want to switch to the iPhone and you are looking for an easy way to transfer all your data from the Android device, you've come to the right place because in this article we will take you through some of the easiest ways to perform this task. There is nothing complicated about this app, which allows you to move pictures, passwords, contacts and all other data you have stored on an Android phone to an iPhone. The app even lets you transfer message history and mail accounts. The transfer process isn't difficult at all, although both devices must be connected to the Internet during the transfer and they both must have the version of this app installed. Once you've started the setup you'll be asked to select what type of data you want to transfer to the iOS device and you can sit back and wait for the data to be transferred. Using iTunes to transfer images from an Android phone to an iPhone is a slightly complicated process because you must first copy all pictures from an Android device to a PC. Once the images are on your computer, connect the iPhone to the PC by using a USB cable and then open iTunes on your PC. Select the folder on your PC from which you want to transfer the photo to an iPhone and then commence the syncing process. Make sure that you PC has the latest version of iTunes installed because you might experience difficulties if you try to sync photos. 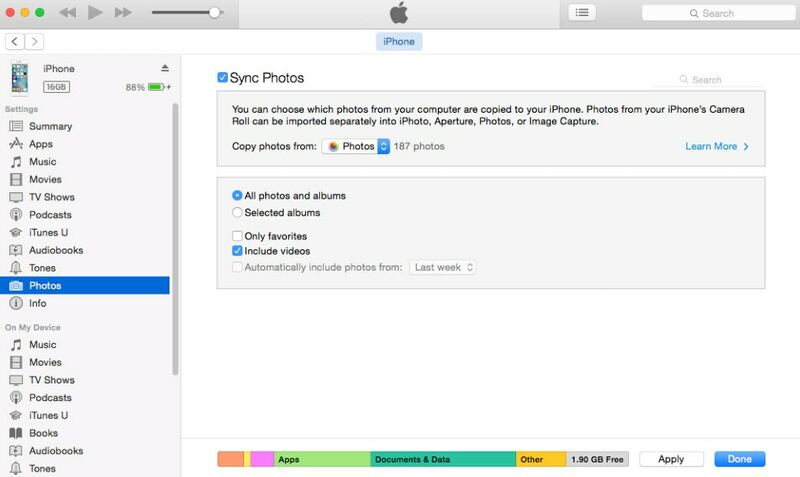 Transferring photos from an Android phone to an iPhone will take a lot of your time, but you can always count on iTunes if every other attempt fails. This method of transferring photos from an Android device to an iPhone is by far the easiest and the fastest. You just need to make sure that both Smartphones have the Google Photo app installed and that they are connected to the Internet. Afterwards, you should just enable the Backup&Sync option and the photos will be automatically transferred from one device to the other. Even though this process may be remarkably simple, the duration of the transfer depends on the amount of the content you are transferring and it may take a lot of time if you want to move a large number of images. You must have a stable internet connection in order to complete the transfer successfully, but if this is not an issue, Google Photo app will allow you to easily sync the two devices and move the photos. Both Android phones and iPhones offer support for a large number of data transfer applications that will allow you to move your images from one device to another. However, these apps are pricey, and unless you need a data transferring app on a daily basis, it is much better to use some of the free methods we described in this article to copy pictures from an Android phone to an iPhone. Regardless of which method you choose, there is little reason to be concerned about the success of the transfer since you'll be able to easily transfer your photos. How to Transfer Video From YouTube to Dailymotion?